Forget the passé Champagne Brunch….. Stella Sunday’s are where it’s at! Last week, our favorite company Drizly sent over a shipment of Stella Artois Cidre and Stella Artois. Both Stella Artois Cidre and Stella Artois are long time favorites due to their mild and pleasant taste. 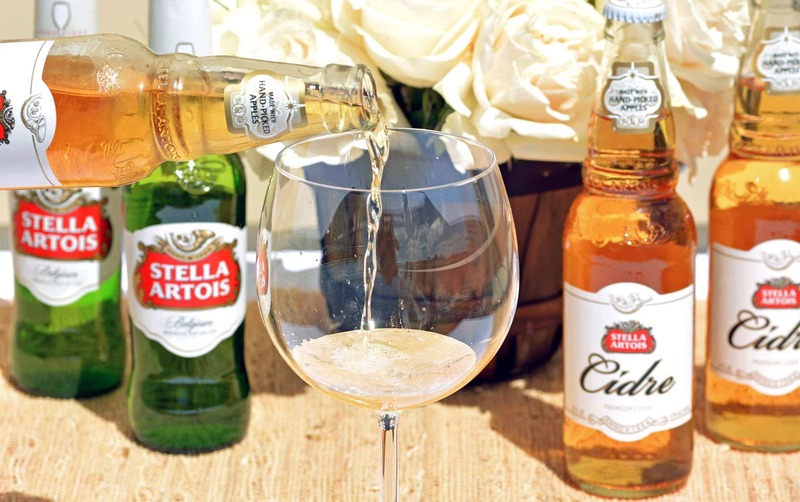 With no crazy aftertaste or strong hop flavors, Stella Artois Cidre and Stella Artois can be enjoyed by most guests. They stand well solo or paired with food. As we’ve been huge fans of the Stella Artois brand for years, we were thrilled when they asked us to create a Stella Artois Sunday Brunch menu. If you’re not familiar with Drizly you’re missing out. Drizly will deliver beer, wine, and liquor, plus mixers, to your home, or someone else’s, as long as they are legal drinking age, within an hour for a small fee. In most areas, deliveries will take between 20 and 40 minutes. If you’ve never tried Drizly before, head over HERE and score $5 off your first purchase or free delivery (varies by region). You’re welcome! After years of enjoying mimosas on Sunday during our weekly brunch, we were looking to mix things up. Enter Stella Artois Cidre and Stella Artois. 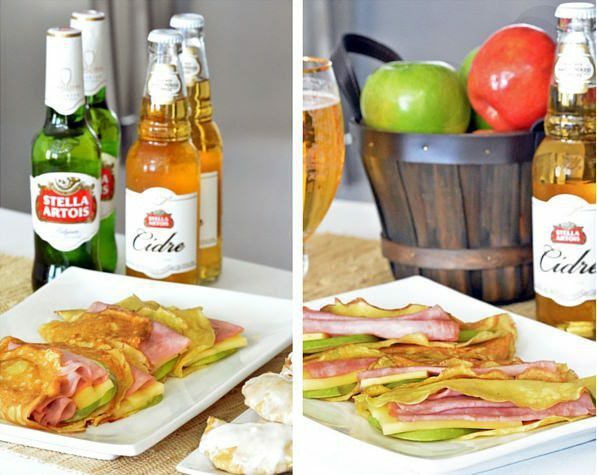 The Apple flavor of Stella Artois Cidre lends naturally to a robust dessert based brunch recipe. But, who wants only sweets during brunch? We were able to create a unique savory recipe to serve as well to pair nicely with the star of our brunch – Stella Artois Cidre. These recipes are easy to make and will impress even your toughest critic. BTW…..Your MUST check out our Stella Artois branded Chalice! Aren’t they adorable?? We purchased this Buy A Lady A Drink Chalice on Amazon last year. For every one purchased, Stella Artois will donate 5 years of clean drinking water to a women in the developing world. Win win. 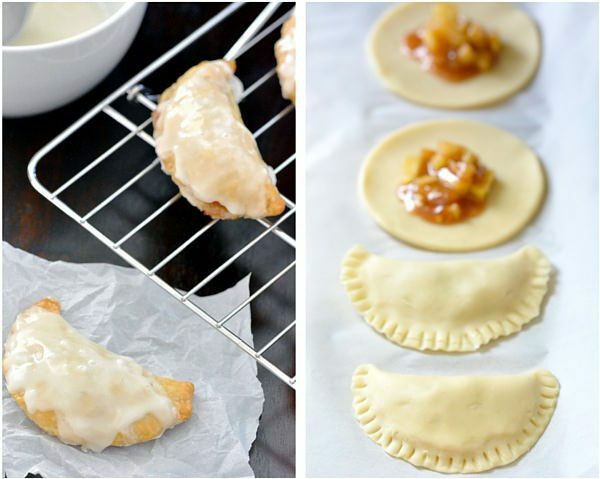 To satisfy our sweet tooth we created these Stella Artois Cidre Infused Apple Hand Pies. They’re portable, easy to make and ridiculously delicious. 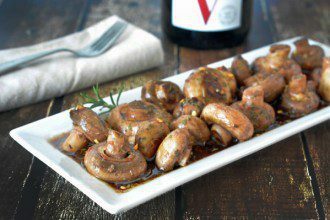 You can make them the night before if you prefer and re-heat and glaze them in the morning before serving. Each pie dough makes about 10 pies. You can cut out 5 and then will have to collect the dough and re-roll out to get the other 5. TIP – if you’re interested in getting an extra kick of apple flavor, mix a tablespoon of Stella Artois Cidre in the glaze. 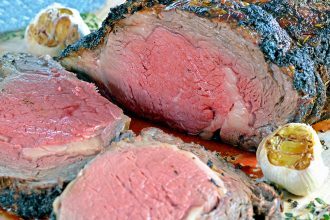 When serving alcohol to guests we like to offer meals that will fill the belly. We knew we had to come up with a savory recipe to balance out the sweet. Enter these Ham and Smoked Gouda Crepes. These crepes can be made the night before your brunch and warmed up on the skillet right before serving. If you’re not a fan of smoked gouda, Gruyere cheese also makes a great choice. In addition to offering Stella Artois Cidre and Stella Artois we decided to create a new Sunday Brunch Beverage to serve. As is our normal when we create a new drink, we loaded up on mixers to test out. Turns out we didn’t need them. The clean and crisp taste of mixing the Stella Artois Cidre with good old fashion champagne did the trick. This drink is smooth with a light apple taste and bubbly finish. It’s the perfect addition to your Sunday brunch. 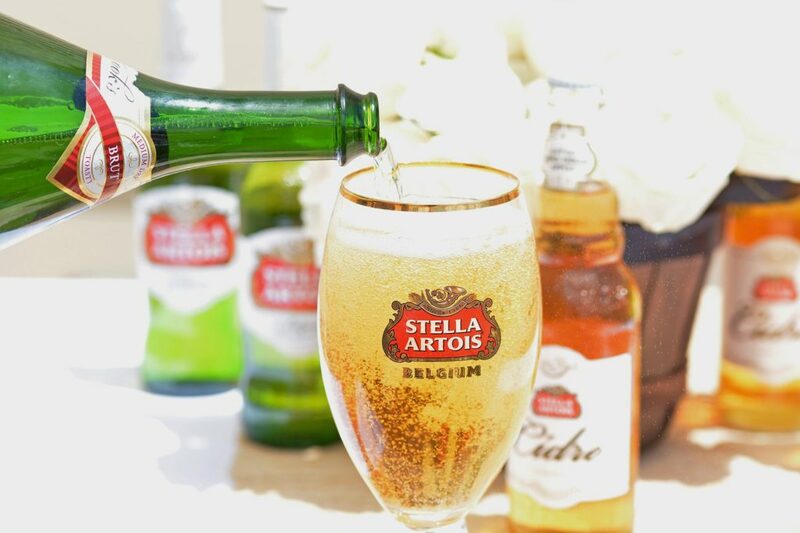 Pour a full bottle of Stella Artois Cidre into a pint-size glass. Top it off with about 4 oz. of your favorite champagne. Drink. While this drink isn’t overly sweet, we do realize some folks (ahem, dudes who prefer non fruity drinks) prefer to stick to good old fashion brewskis. So we always have Stella Artois on hand for those folks. It’s all about the guests needs when we host. To have Stella Artois Cidre or Stella Artois delivered to your home in time for your next Sunday brunch, head over to Drizly! 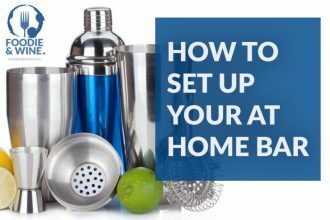 Remove the pie crust from the refrigerator to thaw while you make the filling. Add the diced apples, Stella Artois Cidre, brown sugar, white sugar, cinnamon, nutmeg, lemon juice and butter to a medium saucepan and heat over medium. 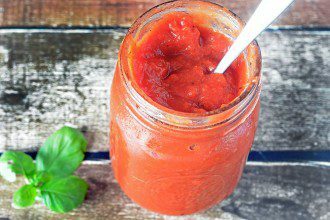 Once the sugar is melted, turn the heat up slightly so the mixture is simmering. Simmer for 10 minutes with the lid off. Sprinkle the flour over the top of the mixture and stir for 1 minute. Remove from the heat and set aside. Roll out the pie dough and cut out the circles using a 5" biscuit cutter (see note). Move the dough circles to a parchment lined cookie sheet. Add 1 tablespoon of the Apple mixture to the center of each circle. Fold over and pinch the dough edges together. We fold over the edges to ensure a tight seal. Pierce the top of each hand pie with a fork, to let the steam out. Prepare the glaze by mixing the powdered sugar and milk together. Set aside. Once the tops of the pies are golden brown, remove from the oven and immediately drizzle the glaze over each pie. * If you don't have a biscuit cutter, you can use the top of a large wine glass. Mix eggs, milk, Stella Artois Cidre and melted butter in a medium size bowl until fully combined. Add flour, sugar and salt and combine until smooth. Pre-heat a 9″ or 10″ non-stick skillet on medium heat. Spray heated skillet with Cooking Spray or Olive Oil. Scoop 1/3 cup of batter in skillet and swirl around until batter is slightly up the sides of the skillet and evenly spread. Cook for about 1 minute, then flip. Cook the second side for about 45 seconds to 1 minute. Transfer the cooked crepes to a large plate. Repeat until you run out of batter. To prepare the filling, slice the apple and cheese to your desired thickness. Add the cheese to one side of the crepe followed by the apple and ham. Fold in half. Return the crepe to the skillet and heat for approx. 2 minutes per side to melt the cheese. Repeat until all the crepes have been prepared. * This recipe makes 8 crepes in a small skillet or 6 crepes in a large skillet. Play around with the amount of batter you use for thicker or thinner crepes.